UPDATED: Judith Hill (contestant on The Voice) added to the performance line up. Ciara – Chiddy Bang – Luciana – Hi Fashion – Uh Huh Her – Kerli – The Pointer Sisters – Kat Deluna and many more! 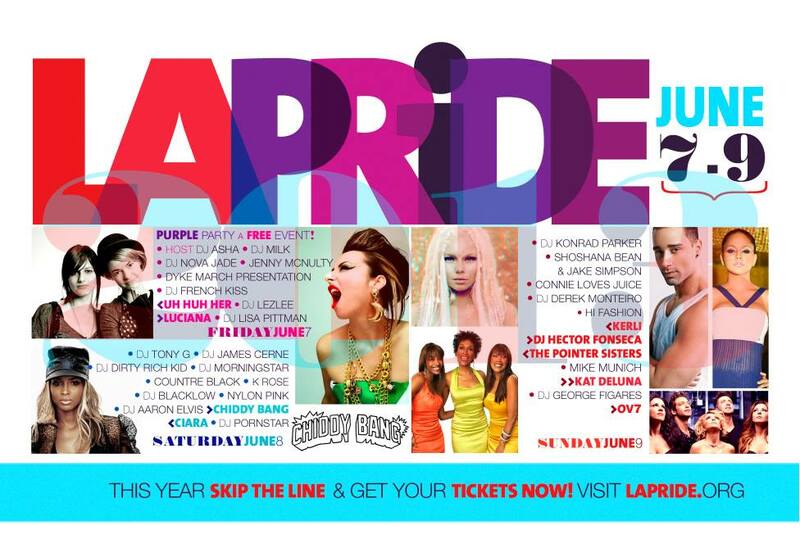 This year’s LA Pride is way more than in previous years. Also let’s be serious folks, it isn’t just for the Gays, we all can enjoy some amazing music with people getting crazy. It’s kind of like Coachella in the city, well sorta, but you know what we mean. If you don’t know who any of the above mentioned artists are, then watch the video below to get with it.